How to Keep Home Cleaning Sponges Cleaned & Disinfected? Would you clean your silverware with a dirty rag? No? Then why would you even think that your smelly cleaning sponge is sanitary enough for regular use? Similar to a dirty rag, a kitchen sponge is the breeding ground for several microorganisms that include bacteria, mould and yeast. As per studies, 90% of the time when a household witnesses a sudden bout of illness in its family members, the reason could be a dirty cleaning sponge. A kitchen sponge needs to be cleaned to keep not only your plates and kitchen utensils free from contaminants but also your food as well. On top of that, it is best to keep on replacing your kitchen sponge with a new one after every two weeks. With that information in mind, if you want to get your hands on high-quality kitchen sponges, you can buy it here. Spraying the cleaning sponge with hydrogen peroxide. For your information, several independent studies have proven time and again that none of the above mentioned ‘hacks’ is effective when it comes to disinfecting a dirty cleaning sponge. As per the results put forth by the ARS, microwaving your cleaning sponge can kill about 99 % of the bacterial or microbial growth within the same. You can also dip you cleaning sponge in boiling water and keep it there for at least 10 minutes. Boiling your cleansing sponge causes microbial cells to explode thereby cleaning them instantly. Rinse the cleaning sponge well and make sure that it is free from any residual food particles. Put the wet cleaning sponge in the microwave and set the temperature of the device on high. Set the timer for 2 minutes. Make sure that the sponge is cool enough to handle when you decide on removing it from the microwave. Rinse out any remaining water from the sponge and let it air dry. Be sure to clean the microwave after you are done disinfecting the cleaning sponge. Get rid of any residual food particles from the cleaning sponge and don’t forget to squeeze it dry. Place the sponge on the top rack of the dishwasher and set the same on full wash and dry setting. It is best to repeat the process for at least once a day. It is an environmentally friendly and easy method where you will be soaking the cleaning sponge in a bath of full-strength vinegar for about 5 minutes. The results are better if you choose to soak the sponge in the vinegar bath overnight. Dry the sponge by either letting it into the sun or air dry – as per your convenience. As per the opinion of the ARS (or Agricultural Research Service’s Food Technology and Safety Laboratory), even if you subject the above-mentioned methods to clean your dish washing sponge, around 90 per cent of the microbes that was residing in the same are still alive. It is enough for you and your loved ones to fall ill very quickly from foodborne diseases. Make sure you disinfect the cleaning sponge before and after using the methods mentioned above for best results. We spend our lives collecting things, often from our travels and sometimes just because we like them. They tell a story but often, unless we have a designer’s eye or some training, some of the story gets lots in the ‘delivery’ or how we show off our possessions. Choose things you love. It’s your home, so it should be full of objects that mean something to you. With that simple rule, you’ll start to notice a definite style theme, even if that is somewhat eclectic. A colour that keeps popping up, or a pattern or a subject matter like ‘travel’ are all popular themes that help people determine their style. Choose objects that aren’t all identical when you’re grouping things together. Have different heights and widths to add interest and stop the display looking flat. A vase, and then flowers within it, is a great way to add extra height. Like height, different textures help the brain to process the display. Think of opposites: something shiny with something fluffy, something wooden with something soft. Shelving specialists like https://www.rackzone.ie/shelving/industrial-residential-shelving will be able to demonstrate that bookcases and shelving are able to display all sorts of things and not just books. Industrial shelving Ireland, UK and elsewhere is being brought into our homes to help us curate our own stories in a modern, contemporary setting. Simple rules of composition mean that the eye is drawn to the centre of a group of objects, so use an odd number to facilitate that. Three is an obvious place to start, though five or seven will also work. Space can be a good thing. Don’t feel tempted to fill every spare inch of space available, because it will soon look like clutter and focus will be distracted from the things that really matter. Collections of bottles or candles or anything else can be great displayed together, and the repetition can be a beautiful thing. Don’t forget the other tips – odd numbers, differing heights and textures – and you’ll be able to make a powerful statement. For more tips on how to arrange your possessions into an eye-catching display, read the advice on the Design Sponge. These are guidelines, of course. Remember that it’s your story – tell it however it suits you. Do we ever take the time to think about how important the simple things are in life? Glass, for example, it’s everywhere and is enormously useful in our lives. From windows in our houses and transport (imagine how much fun driving would be without a widescreen or visor), it can also be decorative and, most importantly, it makes wine and pint glasses. What’s actually in it? 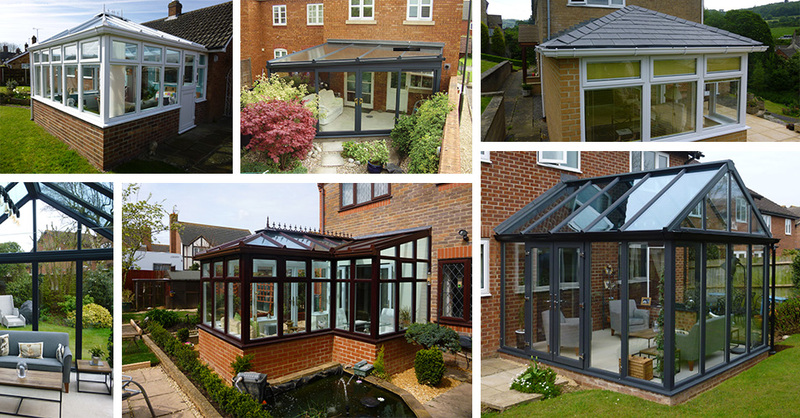 Some people who do know all about glass and how it can improve your home is https://www.firmfix.co.uk/conservatories/. No matter where you are, Conservatories Evesham, Cheltenham, Gloucester, Tewkesbury can be made with this incredible material. Glass is greatly improved with chemicals now but to start with its basically sand or its by-product Silica dioxide, that’s quartz to you and me. It’s a relatively simple task to make. By heating up the sand it will turn into liquid. This liquid although incredibly hot is very easy to sculpt and form either by blowing, which is a tricky skill or by pouring it into molds. This does take quite a time as you do need a very high-temperature blast furnace to do it. Sticking some in a saucepan over the hob won’t do it in case you suddenly felt like making your own glassware. Not unless you own an oven that can be got you up to 1700 centigrade not even Aga’s boast that ability. Also, if you did melt it, the stuff is dangerous and can cause extreme burning so best leave it to the trained professionals. Amazingly once the sand has cooled down it has gone through an incredible change. It doesn’t return back to the yellow grit you had instead it, through the wonders of science, has transformed into a clear substance. The reason for that is that it is an amorphous solid. Before you get the dictionary or Google it I shall tell you what that is. It means it has both the properties of a liquid and a solid at the same time! Let that sink in a second. When you hold a solid glass in your hand it’s still part liquid as well, at the same time. Confused? The liquidy bit is what makes it see through. However, it is also “chemically inert” that means that when you put another liquid in it doesn’t react to it. It does the scientific equivalent of ignoring your drink and keeping itself to itself. If you add more chemicals like boron oxide for example then the glass can be used in an oven, so not Boron at all but quite interesting. If you fancy some bulletproof glass in the conservatory then you need a glass sandwich with clear plastic as the filling. Remember we mentioned windscreens? The process here is where the liquid glass is chilled very quickly which actually makes it a lot harder. Not so good for the bugs that hit it at speed though. Glass, clearly useful stuff. 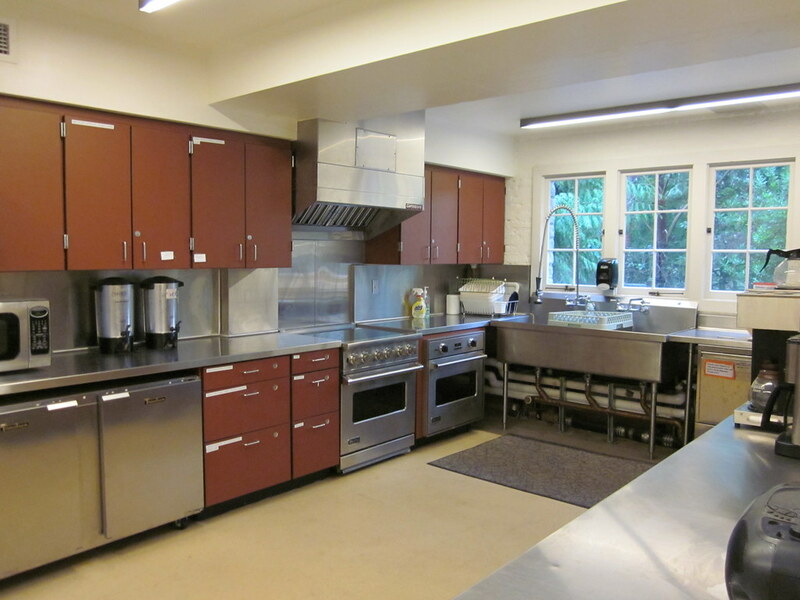 A commercial kitchen has specific requirements above and beyond a domestic kitchen. Kitchens in restaurants, cafes, and hotels need to work well so that staff can find everything quickly and easily. The design is an art form with many things to consider, including space, lighting, floor layout, appliances and more. When designing your commercial kitchen, the first thing to consider is planning the layout. You need to think about what appliances are needed in the kitchen and make sure they have enough space. Also, think about work surfaces and ensure you have enough room for chefs and assistants to prepare food and to navigate around the equipment safely. There should be clear walkways from cooking areas to working surfaces and to and from the kitchen door. Thinking about what to put where is a vital step when designing any kitchen. The lighting in a kitchen is important, to allow chefs to prepare the food properly. Lighting is another health and safety issue but also another issue of productivity. Lighting should be bright and clear so that everything is visible. The lighting should extend to all areas, from surfaces and cookers to appliances and walk-in fridges. The kitchen floor needs to be safe and not slippery, and it also needs to be tough and durable. Floors need to be able to support heavy industrial equipment and withstand wear and tear. They need to be water-resistant and have floor drains while being non-absorbent and easy to clean. The cooking appliances need to be top quality and heavy duty. The type of appliances you need depends on the restaurant, so if you fry a lot of food you need good fryers, while pizzas require top pizza ovens. If you serve a lot of wine, you also need high-quality commercial wine coolers, which are available from many stockists, such as https://www.fridgefreezerdirect.co.uk/commercial-wine-coolers. Appliances in the kitchen need to be heavy duty to cope with commercial wear. The dishwasher is especially important as it has to cope with lots of crockery and glasses, as well as pots and pans. Waste containers need their own space, as do the clean pots after they have been washed. Sinks also need space, with enough empty areas around them to place dirty and clean pots. Did you want to transition your outdoor space? Most of the people of these days are always looking to renovate their home, and home renovation is the right choice once you have the idea to transition your space. A large number of people prefer choosing home renovation to add some value to their home and this is the fact. But outdoor renovation is quite unusual technique, the main reason behind this is that the interest in planning for outdoor décor is most uncommon. You should consider whether your outdoor space is safe to implement the fire pit. Most of the home needs some extra care to implement the fire pit; there you should need an expert to place it. You can contact some renovators for implementing such kind of additional thing to outdoor space. The next important thing you need to look through this phenomenon is whether the chosen fire pit is convenient to use. One can choose the fire pit based on the location they wish to employ. Try to look for these terms once you have the plan to implement the fire pit. As mentioned earlier, one can come up with diverse collections of the fireplace, so it is better to look through and choose according to the needs. Make use of the expert people to employ the fire pit in your outdoor. Wooden furnishings remain a classic option for many modern homes that strive to create a functional and cozy environment. But is this material applicable to the bathroom? More and more often, designers rely on wooden accessories for this room, and in some cases their imagination extends beyond these small and easy-to-replace items and covers the furnishings and even the flooring. That is why today FoamWorks toronto will introduce you to the main advantages and disadvantages of the wooden elements in the bathroom, so it is easier to judge if this material is a suitable option for your home. Wood elements undoubtedly create a sense of warmth and coziness in the contemporary bathroom. Some households adhere to classic solutions, such as complementing an ordinary white bathroom cabinet with wooden accessories that do not require a serious investment and can be easily replaced if needed. Others take bolder steps in their goal of making the bathroom more hospitable by choosing sustainable wood flooring. Experts advise, however, to apply the tree only to those areas of the floor that are not exposed to intense moisture. For example, you can create a spectacular floating floor for the bathroom using a combination of tiles in the area around the shower and massive parquet around the door and the towels for the storage of towels. Wood flooring, however, is not a suitable option for the area around the shower, bath and sink in the bathroom, as intense moisture can cause swelling and cracking of the parquet. Typically, the water gathers in the joints between the boards and becomes a convenient place to develop mold. This can completely ruin the first impression that the bathroom will create for your guests. Other areas susceptible to the destructive impact of water are gaps around the sills on the floor. Wooden window frames are also not a good solution, because moisture leads to swelling and shrinkage of the tree, which in turn could crack in places. For the same reason, most households also avoid massive wooden cabinets and bathroom shelves, which are a completely applicable option, especially if you have a shower or other barrier to protect these elements from direct water contact. The modern bathroom boasts not only an enviable functionality, but also an incredible beauty, and the elements of wood make a tangible contribution to that. They will fit perfectly into a bathroom that recreates the natural beauty that often inspires designers to blend in this room elements in white, green and brown. The classic style also requires wood elements to be featured in the bathroom, making it more suitable for a massive dark drawer with drawers to accommodate towels and toiletries. Wooden accents are an ideal way to break the vision of a simple bathroom, subordinate to minimalism, by equipping the mirror with a practical framework of this material, or by hanging on beautiful wall decorations that will impress your guests. Of all the areas in a home, the kitchen and bathroom are the most important and used spaces. It is essential these spaces, especially that of a bathroom are well designed. To that end, the shower area is one of the things that a home buyer looks at. A well-designed shower cubicle accentuates a bathroom and also adds value to a home. Available space: Is the space available enough? Take into account the height and width in a bathroom. Well-designed showers will not look and feel cramped. Positioning: Another factor to take into account is where it is placed – the corner, or the center of a room or is it in a separate area? This is necessary as it will determine the type of shower tray used. Drainage should also be factored in. Type of glass: The kind of glass that one can use for the walls and doors will vary. Make sure that the best kind of tempered and toughened glass is used. The cost will also play a role in the type of glass that is used. A well-designed shower will have edge protectors which prevent chipping and breakage. Flooring: Shower cubicles can be designed to be used with or without trays. Trays make it easier to install doors and reduce the chance of leaks. Cubicles and trays are available for purchase together making it easy for customers. Tiles: Tiles are not always needed for the bathroom but in case one decides to do so, make sure that the inside walls of the shower area are tiled. Take into account the tiles and the height of the area to be tiled. When a wet room is installed, make sure that the floor and walls are not only tiled well but also sealed to prevent leaks. Left or right hand: When considering a shower area, make sure that the layout is drawn well and also which side the door will open. Make sure that windows and obstructions are taken into account. A walk in shower is the best way to maximize available space. Pivot and sliding doors are good options as they cut down on space required. Many plumbing and bathroom refurbishing companies offer packages that have all the elements required to install a shower cubicle quickly and efficiently. Regardless of the style of shower cubicle, consumers can choose from a wide range of accessories to make their bathrooms stylish and comfortable. Choose from different types of outlets, handheld showers, shower heads, body jets and so on. These are available in different shapes, sizes, and materials as well. Given the choices, it can either be very easy to pick the first one that catches your eye or become really difficult. It is a good idea to take all factors into account and do it right. The budget will always be a key issue along with space. Do the necessary research and measure out space properly before installing. Also, account for the number of people who will use this space and their ages. There are quite a few companies which will offer great designs and work with customers to optimize space. Every component of a shower cubicle adds to the cost. Don’t be afraid to ask for a breakdown of costs before going in for a remodel. If you are buying a home where the remodeling has already been done, it is a win-win situation. Regular maintenance and checks will ensure that the investment pays off for the long term. Buy the best possible quality available in the budget.